School holidays throw me completely out of sync. I am sure that it down to the lack of routine; not having to get up by 7am to do the ‘mommy’ jobs before school run, fit work into the next 6 hours before having to rush out the door again to fetch Mimi-Me from school. Being a single parent and running a business ensures that I have a lot of hats to wear and sometime more than one at a time. There were a few things I had to learn very quickly when starting The English Beagle and photography was one of them. 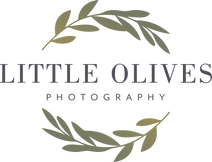 I was fortunate to take part in a 1 day crash course hosted by Claire Witz from Tunbridge Wells Mums in Business with Janet Penny of Hushabye Photography and Claire Williamson of Little Olives Photography. I do not have a ‘posh’ camera and take all photos on my beloved Sumsung. Thankfully I did not need to have camera for the course and was able to use my phone during the day. Various topics were covered, starting with the basics and building up from there. Most important lesson I learnt is never use the flash on the phone. I then had to get my head around White Balance, which is the process of removing unrealistic colour casts; if a product is white, it should appear white in the photo. Or in my language: the colour of the photo adjusted by the temperature of the light. A cold/blue picture vs a warm/yellow picture. For someone who thought direct sunlight onto a product was the best option, I was relieved to learn that this is something to avoid. North facing windows are the best as the sunlight has been diffused already. Have a white table cloth handy to act as a diffuser if something is casting a shadow onto the product. And make sure that the props used are packed safely into one container ready for the next photo shoot! Unfortunately my bedroom has become the photo studio as the light is best late morning, so my prop box now lives in the corner. We were also told about a few apps that seem to have made my photo-taking experience far easier now too. DSLR Zoom Camera: same features as a ‘posh’ camera. Exposure (something which I did not quite get my head around) and white balance are easily managed; plus image sizes can be pre selected. Snapseed: Fantastic for editing images. Colours can be tweaked and I now use the ‘pop’ colour on all my photos. Plus lens blurring can be added afterwards. Additional white balance editing can be used too. Canva: A brilliant app that enables you to create your own image layouts. A wide selection of templates to choose from and can be used on both phones and desktops. Even if photography is a hobby and not purely for business, the apps listed above are great and will bring a new dimension to your photos.